deer urine | Whad'ya Know? Scene: Faculty meeting at South West Area Tech High School, Vice-Principal Dan Muller, presiding. OK, I’ll try to keep this brief, most of you, I know, have drum and bugle commitments. Going pretty well as far as the Armed and Teacherous Initiative. 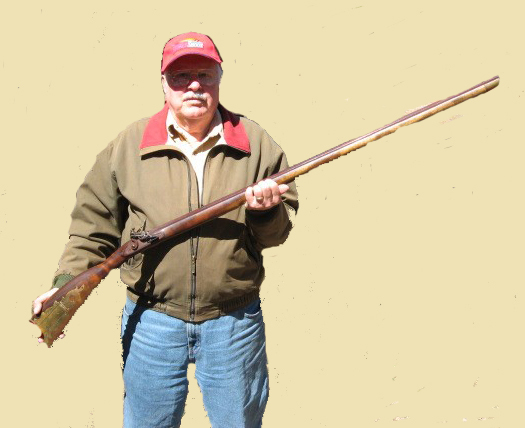 Not unexpectedly, there continues to be an uneven distribution of armament by department: none at all, really, in the English department, with the exception of the heirloom flintlock brought in by Mr. Gladstone–thank you for that, Will, although it is welded and thus more of a visual deterrent. Remains a pretty impressive barrel to stare down. Social Studies and Industrial Arts are, if anything, armed somewhat over the teeth, IA, in part, due to some pretty creative use of metal lathes from the Intro to Ballistics kids–btw, should anybody ask, IB is open only by invitation to those seniors passing both the counselors background check and the NRA youth handling, safety and reloads course. Social Studies, meanwhile, is pretty much populated by deer hunters, accounting for the pervasive smell of deer urine on the second floor west–from their equipment, not so much from Hank and Jerry themselves. The Science Department’s unabashed love for tasers and exotic explosives, while the best example of what applied science should be, can be somewhat problematic in an academic setting, if falling into the wrong hands. And I mean the Math department’s. Hah, just kidding, they’re great with plotting trajectories. As requested by a number of you, I spoke with both Bill and Ed, who have agreed to stop sticking the .22 (Bill) and the over-and-under (Ed) in with their mops and brooms on their carts, and relegate them to the rack in the furnace room until needed. On the lighter side, Ms. Hotchkiss, from Home Ec, has a neat piece in this week’s bulletin on finding the right little sidearm for gals who may never have handled one before, (but wanted to, Edna?) along with some ideas for “cute little and oh-so-feminine crocheted holsters,” which, she adds, you gentlemen might use, as well, just call it a messenger bag. One too many accidental discharges in the faculty lounge–enough said, Mr. Kosciusko. Frank, your quick draw reputation was never in doubt, rest assured you have nothing–further–to prove. Really. Let’s leave those safetys on, people. To clarify, again, food service personnel are not to pack anything but lunches. Hey, the food is weapon enough. Just kidding. But it is. For their part, they would appreciate, I am sure, fewer jokes about serving spoons serving as shivs, and cauldrons of boiling oil readied on the parapets, etc, in case of an event. Our thanks go out to food service, since an armed staff teaches on its belly. Finally, just to refresh, in the event of a security event, you will be alerted over the PA by the phrase “Third hour will shortened, today only, while fourth hour will follow fifth hour, for an all school pep rally.” Need to hear all those words, in that sequence, before assuming your pre-assigned positions. And I don’t mean the couch in the faculty lounge, Herb. OK, that’s all she wrote, let’s be careful out there, people.